SAMSUNG LED DISPLAY 32" MODEL NO: HGA32AE460 Samsung elegant displays for added ambience and functionality. 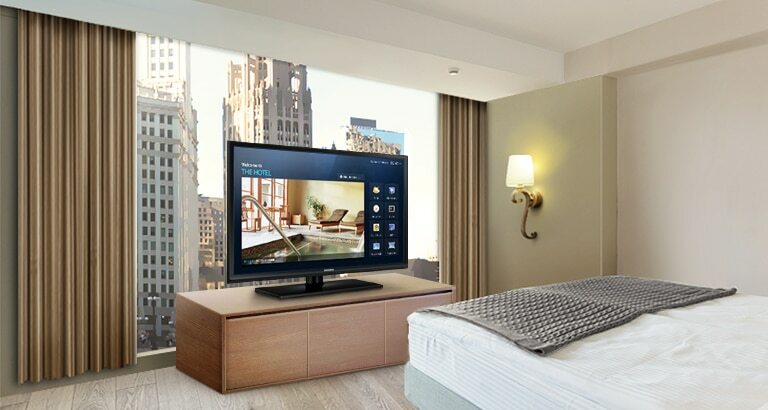 Samsung’s slim-designed HE460 displays revitalize in-room entertainment These all-inclusive benefits make the HE460 the ideal display to create a differentiated and memorable guest experience at reduced expense. Dynaudio Excite X44 Floorstanding Speaker Sensitivity: 89dB IEC Long Term Power Handling: 250 W Impedance (Nominal): 4 ohms Frequency response (+/- 3dB): 27 Hz - 23 Hz Weight: 29.9 kg Dimensions: W 226mm x H 1210mm x D 344 mm As the largest loudspeaker in the Excite range, the X44 is ideal for anyone who desires maximum bass performance, either because they have a large room, or because they simply wish to experience the most powerful music reproduction.